Remember that awesome credits sequence from Lord of War? 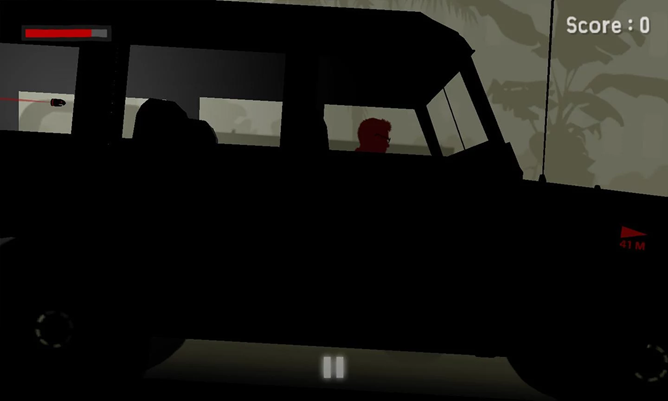 Imagine that as an artsy 2D silhouette game, and you might get something close to Redden. This touch-based shooting title has mechanics that are incredibly simple, but the stylish presentation and unique take on the story make it worth a look if you want something different. Redden is $2.44 in the Play Store and has no advertising or in-app purchases, at least at launch. Redden begins in a derelict junk shop, where an animate iPhone talks smack to some of the older inhabitants, Brave Little Toaster-style. 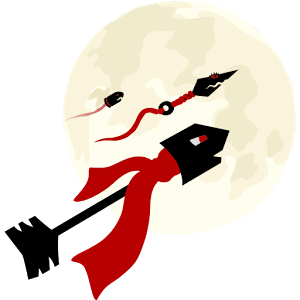 The story progresses as various weapons - an arrow, a kunai throwing knife, and a bullet - tell tales from their own perspectives. 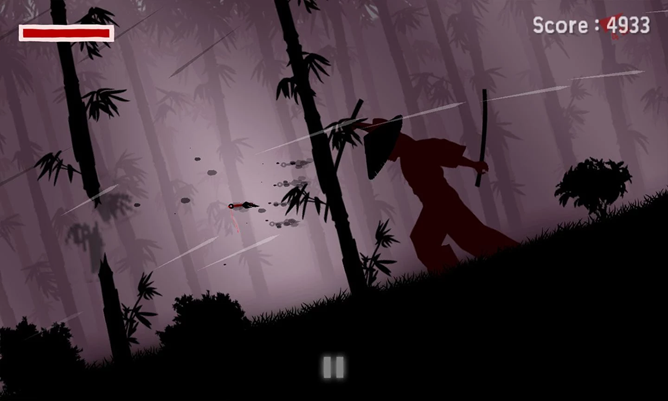 In terms of gameplay, Redden has you controlling said weapons as they fly through the air, moving up and down to avoid obstacles or ride on currents. Collect enough momentum and you'll be able to power through obstacles on the way to your target, which grants bonus points for critical hits. 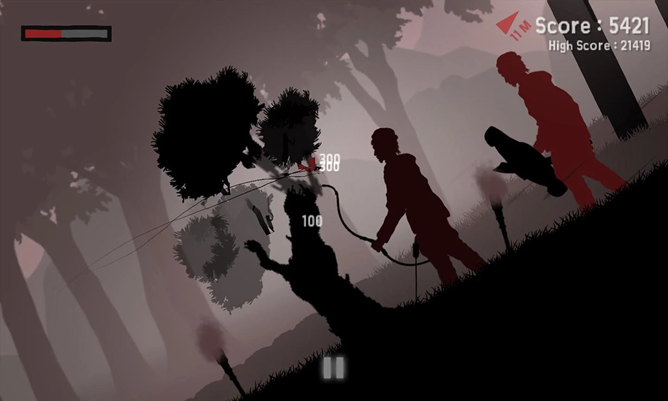 Warning: the game starts out with shooting birds and boars and the like, but progresses to people pretty quickly; the black-and-white graphics aren't exactly gory, but the implications are extremely violent. 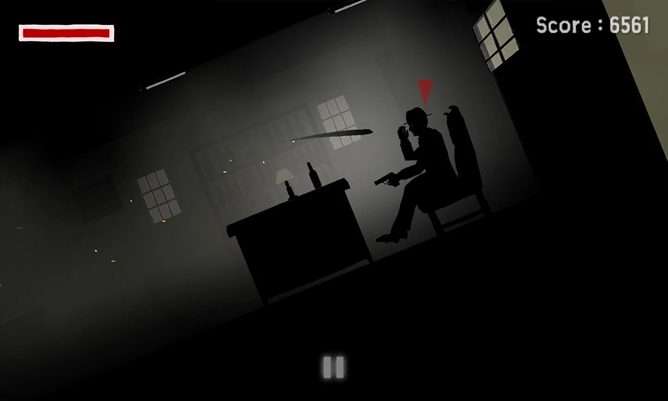 The game lets you choose between touch and tilt controls on phones or tablets. Oddly there's no external controller support - though Redden shows as compatible with the SHIELD TV, it doesn't appear on the Leanback launcher and it's more or less unplayable on television. Here's hoping the developers see to that problem while mobile players check out the game in the meantime.